The mood at the Wells Fargo Center ahead of Hillary Clinton’s prime time speech to the Democratic National Convention was quiet. As a singing group filled the arena with the cloying strains of “You’ve Got A Friend,” snapshots of a younger Hillary Clinton flashed across the giant video screen at center stage. This was practice. Later, the real show would begin. That was the scene on the last day of the Democratic gathering in Philadelphia. Gone were the sounds of protest that had filled the streets and halls surrounding the Wells Fargo Center. Outside, the skies were filling with clouds. Torrential rains would soon fall. Inside, however, there was cautious optimism — a collective wish for sunshine. Later that evening, Hillary Clinton would deliver the most important speech of her long political career. That speech — more than the inspirational words of President Obama, or the fiery oratory of Michelle Obama, or the pensive reflections of Bill Clinton — would determine not only the direction of Hillary Clinton’s campaign. Her speech, on the final night of the Democratic National Convention, would determine the direction of the country. That’s because the choice is clear in this election.-We can be led by a center-left pragmatist in Hillary Clinton, or a right-wing nationalist in Donald Trump. No matter which side of the ideological coin one prefers, there is no confusing the two. Those in the Democratic party’s Pennsylvania delegation are keenly aware of that fact. Among them are Philadelphia City Council members like South Philadelphia’s Kenyatta Johnson, Cherelle Parker of Northwest Philadelphia, and at-large member Blondell Reynolds Brown. As they arrived in the hall ahead of Clinton’s speech, each told me that they’re firmly in Clinton’s camp. But the wounds of the contentious Democratic primary are still fresh, and those who supported Vermont Sen. Bernie Sanders are also in the Pennsylvania delegation. I spoke with several of them, and asked what they were feeling as they prepared to watch Clinton take center stage. 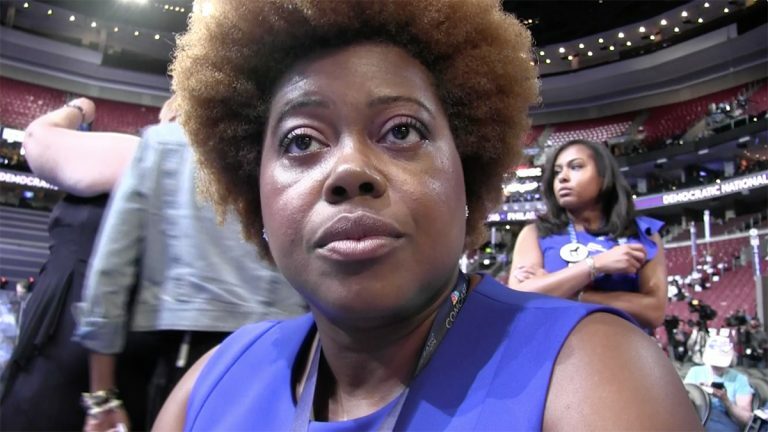 “First and foremost I am a gung ho Bernie Sanders supporter,” said Pennsylvania delegate Melissa Robbins, an African American military veteran from Philadelphia. “I worked on [Sanders’] campaign, I ran the West Philadelphia and Southwest Philadelphia field offices. However, when Sen. Sanders stood up there the other night and he graciously conceded to the Secretary, at that point we knew as delegates that we are to honor what Bernie Sanders wants. But when pressed about the Sanders supporters who continue to say they won’t support Clinton even after Sanders asked them to do so, Robbins was firm. And therein lies the conflict. Sanders, while conveying a message that appealed to some African American millennials, never gained traction among the older black electorate. That demographic went overwhelmingly for Clinton. But now that the primary is over, the racial divide among some Clinton and Sanders supporters could present a problem for Democrats. Some white Sanders supporters are openly saying they will support Trump over Clinton, despite the Republican presidential nominee voicing bigoted views on race, ethnicity and religion. Why would these Sanders supporters switch to a candidate who is seemingly the antithesis of the progressive they initially backed? If the Democrats have any hope of winning in November, Clinton must help them to do so. 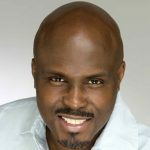 Listen to Solomon Jones weekdays 7-10 a.m. on 900 AM WURD.